Also phenomenal? For the first time NASA’s latest class of astronauts is 50 percent female. A fearless group, Meir and her colleagues Anne McClain, 36, Christina Hammock Koch, 37, and Nicole Aunapu Mann, 38, have already flown combat missions in Iraq, braved the South Pole, and dived under thick layers of ice in Antarctica. Last fall they gave Glamour exclusive access to watch them train at NASA’s facilities in Houston—and talked about their epic adventure. For the next 15 years, the astronauts will be honing their skills both on Earth and in outer space—even, likely, flying the Mars mission’s small blastoff capsule to an asteroid near the moon as a test run. Once it begins, the actual mission will go something like this: The four crew members selected (potentially from this class and others) will spend two to three weeks in the launch capsule, then rendezvous with a larger spaceship—a.k.a. “home”—for the rest of the months-long journey. Once on Mars, they’ll live up to a year in a structure that will have already been built by robots before returning to Earth. That’s a long time for four people to be hermetically sealed together. Will they fight? Get romantic? In one series of NASA-funded studies known as HI-SEAS, six men and women spend up to a year in a 1,300-square-foot biodome on the side of a Hawaiian volcano to help answer those questions. 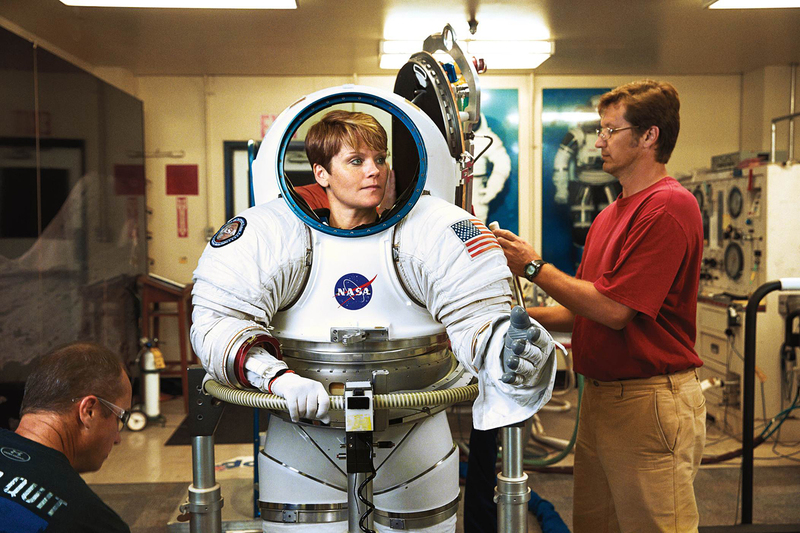 Suzanne Bell, Ph.D., a NASA-funded psychologist researching group dynamics on extended missions:A Mars trip has all the ingredients for falling in love, and researchers have seen the danger of that in simulated environments. In one incident a man made unwanted sexual advances toward a woman in the other group, and they decided to shut the hatch between the two groups. It’s something NASA has to think about if they’re going to send men and women to space together for three years. Martha Lenio, Ph.D., 35, a former HI-SEAS volunteer who hopes to become an astronaut for Canada: Wedid have conflicts, like whose turn it was to vacuum, but nothing we couldn’t work out. In general what I most worried about—like getting bored with the food since everything is freeze-dried or dehydrated—wasn’t a problem at all. We’d compete on how creative we could get with taco and pizza nights. By the end of the eight months, some of my crew mates were really ready to get out, but I could have stayed longer! Sheyna Gifford, M.D., 37, a doctor in St. Louis who is currently living in the HI-SEAS dome for a year:The researchers “back on Earth” (we consider ourselves “simulated astronauts” in “simulated space”) are giving us tools to deal with the isolation. We have some virtual reality [VR] games that our loved ones at home can play too, so we can leave each other notes and photos or have treasure hunts. Another researcher is going to use VR to “send us to the beach” for a few minutes a week. That may prove very transportive! Tracy Caldwell Dyson, Ph.D., 46, an astronaut who lived at the space station for almost six months:Every night I’d spend 90 minutes watching as we orbited Earth. You’re passing it at 17,500 miles per hour, so you have only a moment to soak in the view before you’re looking at something else. The most intense experience? My first spacewalk to repair a cooling pump that had failed. I understood how enormous and potentially dangerous it was to be stepping out into the vacuum of space [in nothing but a space suit]. I’m thrilled for the women who are coming after me. I can’t wait to see where they go and what they do. Ginny Graves is an award-winning writer here on Earth. Top photo: Would you take the trip? The average temperature on Mars is 81 degrees below zero. But scientists say that in 15 years, we may be able to visit, even live there. Pictured here, four who’d love a ticket: astronauts Nicole Aunapu Mann, Anne McClain, Jessica Meir, and Christina Hammock Koch, photographed at NASA’s Johnson Space Center in Houston. Photo by Bjorn Iooss.